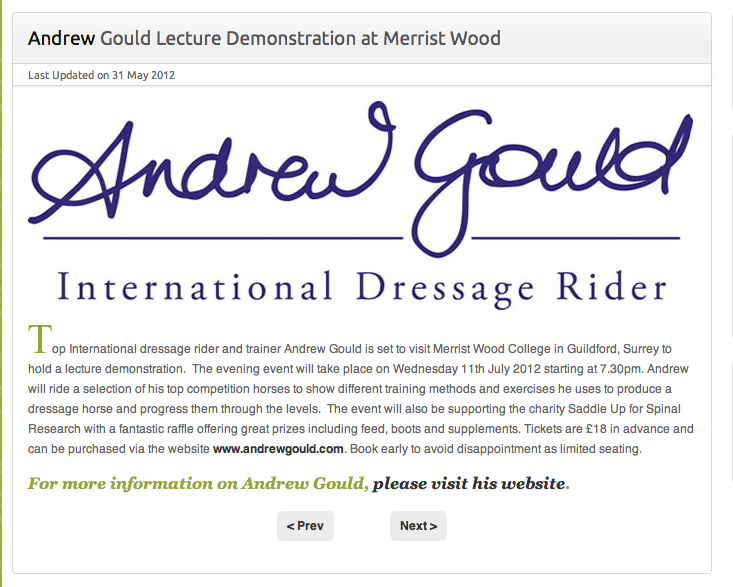 Come and watch Andrew Gould in a Dressage to Music event at the Golden Cross Equestrian Centre near Uckfield, East Sussex. 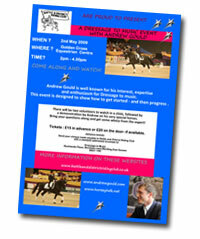 The event will take place on Saturday 2nd May and is being run by the Battle & District Riding Club. 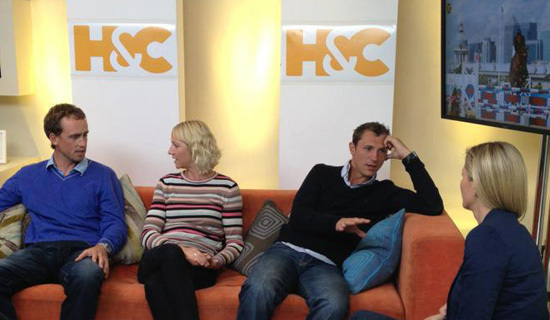 Two lucky volunteers at the event will get the opportunity to participate with Andrew. The volunteers do not have to be members of Battle & District Riding Club so if you know anyone why not put them forward! 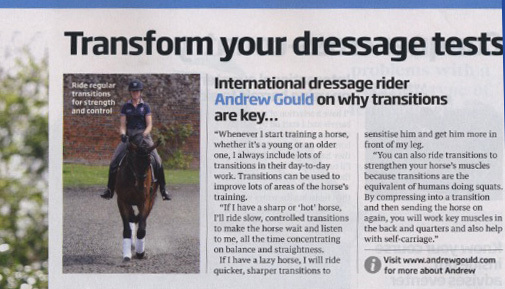 Ideally one will be about to start dressage to music and the other will be an ‘improver. 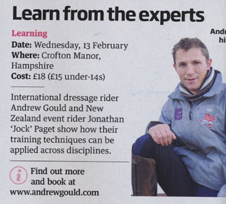 Andrew will also be answering lots of questions and be discussing dressage training and how to get started and progress along with a demonstration on his own horses. The demonstration will start at 2pm and will finish at approximately 4pm. Tickets cost just £15 per person in advance or £20 on the door. 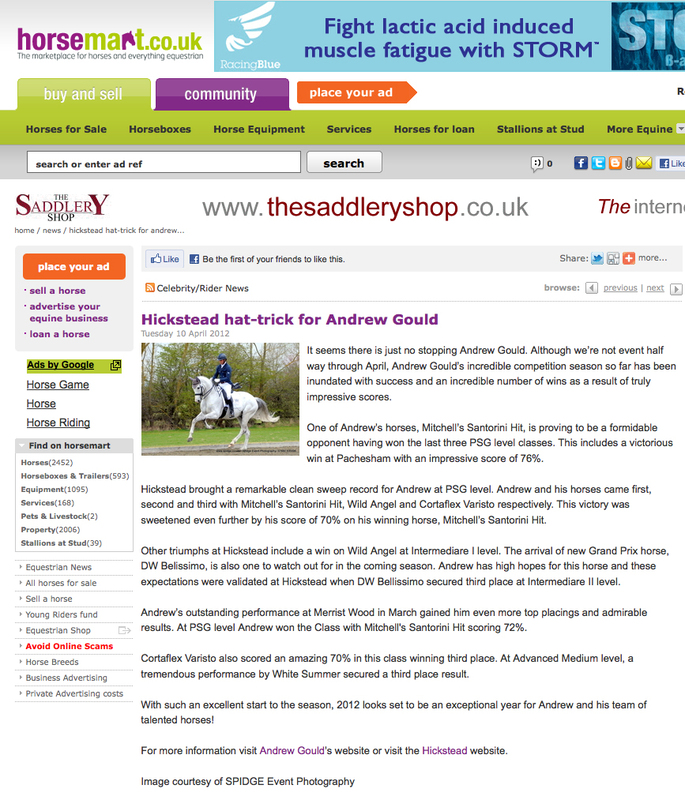 The event will take place on 2nd May 2009 the Golden Cross Equestrian Centre, near Uckfield, East Sussex. Please send a self-addressed envelope and cheque made payable to ‘Battle & District Riding Club’ to Dressage to Music, Rockland Place, Boreham Lane, Wartling, East Sussex, BN27 1RS. For more information please visit www.battleanddistrictridingclub.co.uk. 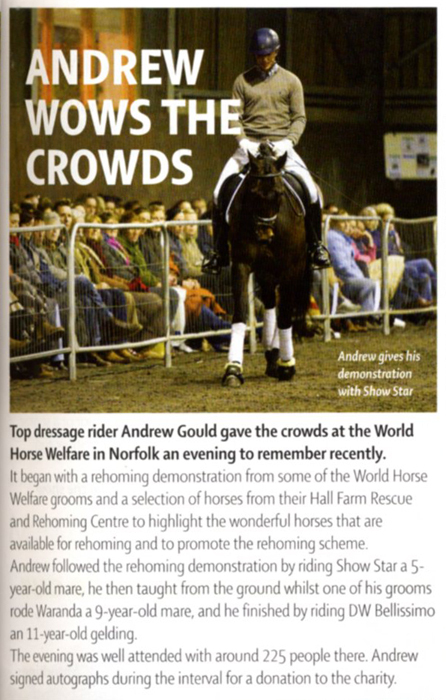 So come along and watch one of British Dressage’s most popular young riders!!! Andrew and Wild Angel have been awarded a wild card in the Medium Music following their impressive score of over 70% at the Regional Championships at Patchetts. The pair will now head off to Hartpury for the National Championships at the beginning of April. 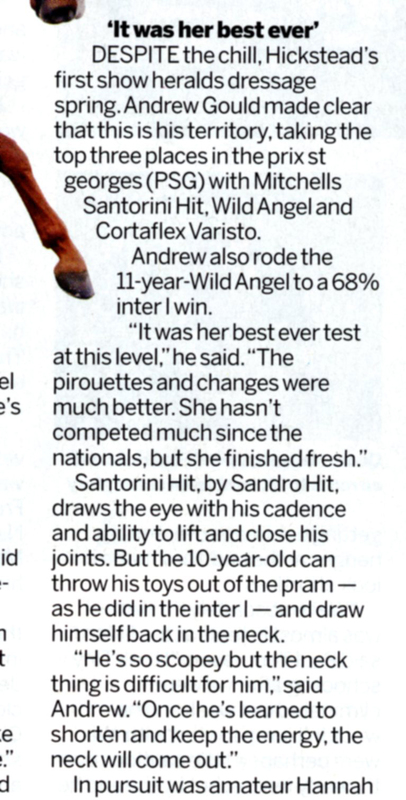 Andrew's pupil Emily Stanford who bases her two horses with Andrew has received two wild cards on Korenbloem Vincit Omnia in the Novice and Elementary Open music classes. Another of Andrew's pupils Camilla James and Riva Dance have also received a wild card through to the Novice Open music. 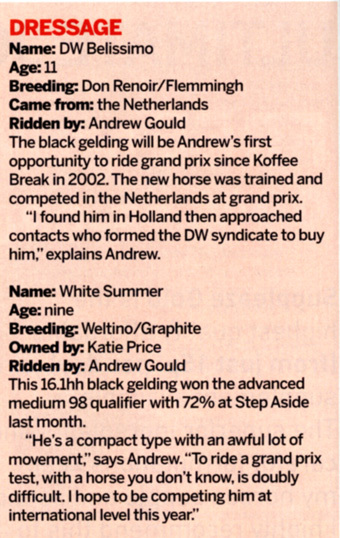 On Thursday 26th February Andrew rode Jordan's Spirit Forever at Step by Step in West Sussex in the horse’s first Prix St George. Together they picked up a second place on this horse’s debut at this level with a score of 65.4%. Andrew's pupil Emily Stanford who is currently based with him at his yard in Bolney won the Medium class on Pagineta. 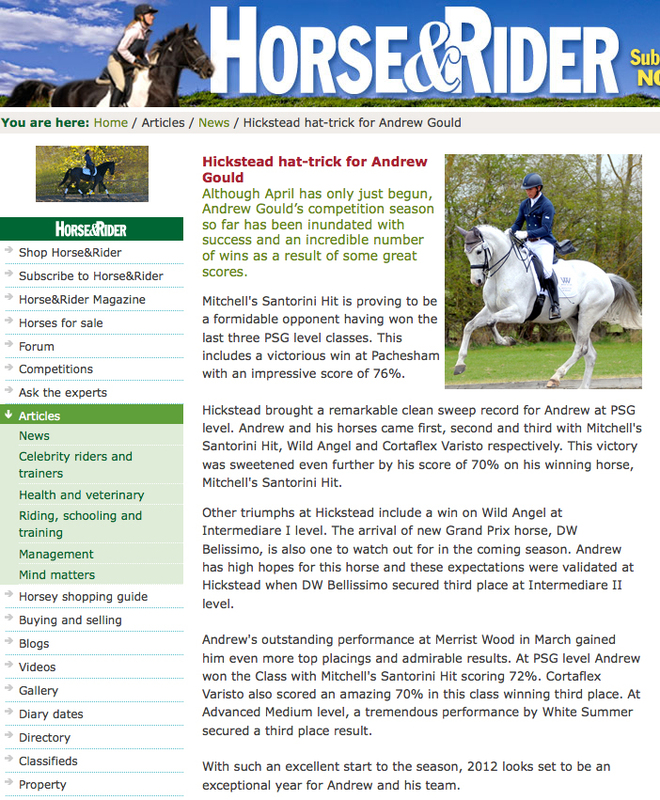 Emily Baldwin, International Event Rider whom Andrew trains weekly on her string of event horses also won both the Advance Medium classes putting her in excellent form for the imminent season.